"The older among us may remember our fathers using single-edged blade razors. The memory of the scent of Palmolive shave soap and Old Spice that lingered in the bathroom after my father had left for work is a powerful one. Thomas Clipper has enabled me to relive this memory with their beautifully made traditional razors..."
The usual assumption is that new is better, but, as I’ve discovered recently with the help of Thomas Clipper, when it comes to shaving, that’s not the case. The older double-sided single-edged blade gives a better shave that the modern multi-blade razor. The older among us may remember our fathers using single-edged blade razors. The memory of the scent of Palmolive shave soap and Old Spice that lingered in the bathroom after my father had left for work is a powerful one. Thomas Clipper has enabled me to relive this memory with their beautifully made traditional razors (made in the UK and India), Egyptian-made blades and frankincense shave oil – soon to be joined by other products. The skills of traditional shaving died as the modern razor took over, pushed by marketing men who recognised that, by selling a cheap razor and tying you into buying very expensive blades, they ensure a good profit. But, in my experience, multiple blades require more passes to achieve a close cut and cost maybe ten times as much as a single-edged blade. With a Thomas Clipper razor it may take you, as a novice, a week or two to acquire the skills (with maybe the odd nick in the process). After that time you will enjoy the experience, relishing the closeness of the cut. You will then want to explore the fascinating world of shaving foams, balms, oils and unguents that add to the fun. You will find that different brands of blade vary in results and longevity and razors give differing types of shave, depending on their design. 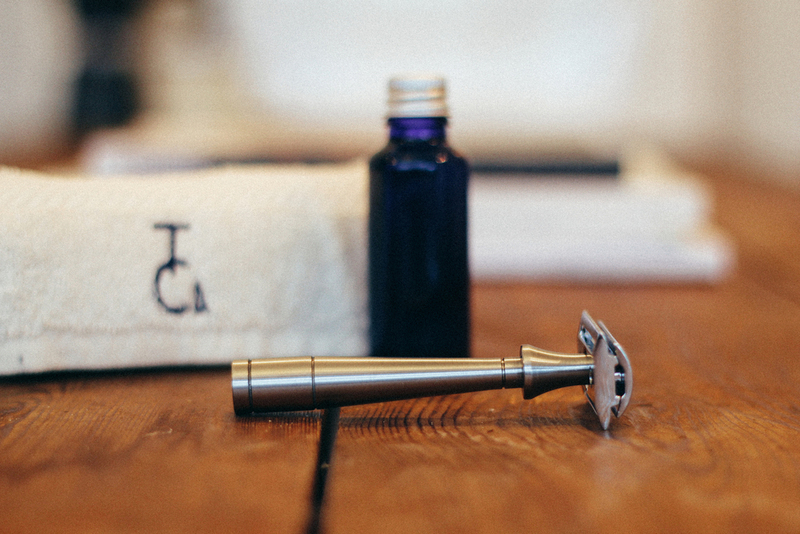 The Thomas Clipper Mark K razor has a beautifully-balanced handle and shape that allows a close shave with minimum effort. It’s been a revelation. Give it a go; like me, you may find that you look forward to each morning’s shave.